Neurofeedback is a type of biofeedback that uses real-time displays of brain activity to teach self-regulation of brain function. This ability to measure and monitor the brain’s activation level in response to different types of stimulation provides brain health clinicians insight into identifying pathologies, deficits, or deviations from the norm, and in turn, devise a brain training program of neuro-conditioning exercises. 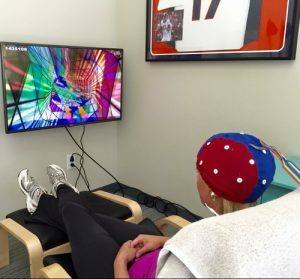 Neurofeedback exercises are designed to target improvement in specific functional areas of the brain: motor planning, auditory imagery, expression, language comprehension, executive function, spatial orientation, or visual processing. Neurofeedback and neuro-conditioning can improve sleep patterns, help with anxiety and depression, and help relieve migraines or chronic pain. It can also be helpful in managing attention and emotions. Neurofeedback training can also be helpful in the treatment of seizures, traumatic brain injury, stroke, and autism. Neurofeedback scanning and training are safe, non-invasive, and painless. In a typical session, you will sit in a comfortable chair, in a quiet room, in front of a computer screen. You will wear a cap that houses electrodes; these electrodes are positioned to correspond to the areas of the brain you will be training based on the plan developed from your initial scans. A video with sounds will play on the screen. As you watch the video, your brain “responds,’ and you will receive visual and auditory reinforcement based on your responses. For example, you may be “driving a car” on the screen, and the activity in your brain in response to what you see will determine if the car stays on the road, veers off, or crashes. 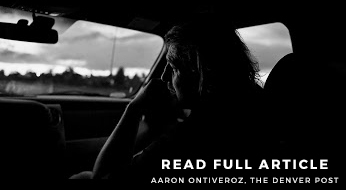 The “better” you drive the car, the more visual and auditory “rewards” you are presented with. Brain activity is displayed on the screen allowing you to read, understand, and influence brainwave activity. Ultimately, neurofeedback and conditioning translates to improved brain performance, normalized behavior, and stabilized mood and overall well-being. In a hyperbaric oxygen therapy chamber, the air pressure is increased to three times the normal pressure in order to promote healing and optimal cell function. Neurofeedback is a type of biofeedback that is a brain training tool used to monitor brain activity in order to teach self-regulation of brain function. The Dynavision D2 evaluates physical movements and cognitive processing in order to improve sports performance through customized routines. Brain training with GyroStim reinforces the three cognitive processes required for optimal human performance: perceive, process, and react.